They all like to play dress up and pretend to be a funny character so why not get the best playhouse for kids, too? Using their imagination is a important to have starting at a young and influential age. They also need to feel empowered by all of their available creative outlets whether it be pretending to play house, dress up in mommy’s clothing, or repeat everything daddy says. It is a way for them to be interact in a fun way. This season, a new playhouse is in town and is grabbing kid’s attention one by one. Mega Bloks and Mattel formed a great partnership in order to create the Mega Bloks® Barbie® Build ‘n Style Luxury Mansion (retail at $79.99). Making this one of the best playhouses for kids this holiday season. Imagination will not run short with this great toy! The mansion has room for all of Barbie’s friends to come over to hang out with it’s eight interchangeable rooms! Children are able to use their creative side by decorating their Mega Bloks Barbie dream house in to exactly they way they want. Some of the other amazing features it has to offer include a real working elevator for Barbie and friends to travel the house and Glam accessories for endless possibilities in designing and decorating the perfect dream house. Mini-Fashion Figure Barbie and her friend Teresa are included along with extra outfits so they can play dress up. Now young girls can have a slumber party with Barbie and friends, too! They can even collect all 19 mini fashion dolls, which come with accessories, great clothing styles, and changeable hair. To create the best playhouse for kids, add the other great Mega products such as the the Fashion Boutique and Petshop. Or drive on over to the beach in the flashy convertible. Make every little girl’s dream come true with their dream playhouse this holiday season! Want to stay further connected with Mega Bloks? Like Mega Bloks on Facebook, and make sure to Check out the Mega Bloks Barbie line. 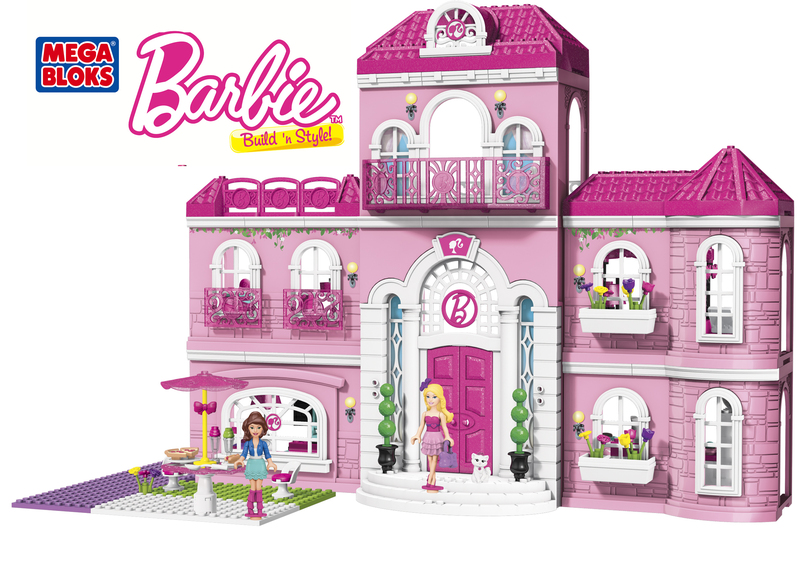 You can enter to win this fab Mega Bloks Barbie mansion by filling out the GT form below. Only US addresses can win. I like the Build n’ Learn Table. I like the BUILD ‘N STYLE FASHION BOUTIQUE. Bild and Style Pool Party! I think the Build ‘n Style Pool Party would be fun to play with. Thanks for this contest! My favorite product is the Build ‘n Style Pool Party. Build N Style Pet Shop! My kids LOVE blocks. They build houses and towns with their friends. I like that they play with blocks, it expands their imagination. Which I love to see how creative they are. i like all of the mega bloks. Build n style fashion stand! I like the Build n’Style Pet Shop! I like the build and Style Convertible! I used to love putting my Barbies in their cars when I was a child. Any product for my daughter I love. I love to see her face light up! pool party looks like fun! The Mega Blocks Barbie mansion. My daughter would love the mansion! I like the Create ‘N Play Junior Sets as well! This house is incredible! The Pink Miniblocks Creat ‘N Play Junior are neat. I also really like the house set you are giving away! My daughters would love the Mega Bloks Barbie® Build ‘n Style Pool Party! build n style fashion stand!! i am an animal lover so I am loving the PUPPY PALS BARBIE. The Build N Style Pool Party. Have to dream through Barbie sometimes. My favorite product is the Coach Dog Collars and Leashes. Adorable. the pet shop of course!!! Besides the mansion, the pet shop is adorable! I like the GO KOKO GO! The Claw Armor Megazord is my favorite. The Ultimate Building set is nice too. I like the Build n Style Luxury Mansion! The Build N Style Luxury Mansion is definitely something that my daughter could play with for hours on end!! I like the Build n Stlye Petshop. Build in Style Fashion Boutique is my favorite!!! The mansion would be my number 1 pick. I’m so glad to see them provide these for girls. I like the Build n Style Pool Party! The Luxury Mansion, I have four young granddaughters and all of them would absolutely LOVE it! I like the build & style convertible. My favorite is the build and style fashion boutique. My favorite is the Build N’ Style Luxury Mansion. HALO FORWARD UNTO DAWN is what my son wants.. I like the build n style ice cream cart. Thanks for the chance. the luxury mansion — my daughter would love that! I like the Build N Style Beach House! I love the Mansion as well. Beautiful . I like the build n style convertible. build and style- pool party..
My daughter would love the Babie house she has been begging me to get her a house for her dollies! build n style pool party. My daughter would like Mega Bloks’ Dragon Castle. We like the Build N Style Pool Party. I really love the Hello Kitty products but since this link went to the Barbie items, my favorite one there is this Poolside set! The Barbie mansion of course! actually the mansion is our fav! Enough to make a little girl cry with joy! I like the Build ‘n Style Pet Shop. build ‘n style ice cream cart-cute! Anything Barbie related. Love it! the build n style pet shop or pool party! Mega Bloks Barbie® Build ‘n Style Pool Party. I’ve got 3 granddaughters that would love the pet shop. I like the Build & Style Pool Party! i love the pool party set! The build n style fashion boutique! I like the Forward Unto Dawn set. I like Papa Smurf’s House. My favorite is Build and Style Beach House. Build ‘N Style beach house. I like the Build N Style Ice Cream Cart. My favorite product is Build ‘N Style beach house. I like the Build ‘n Style Ice Cream Cart. I like the DORA’S CAMPING ADVENTURE set. I like the Build n Style Pet Shop and the Pool Party. The build and style Pool party. Build and style beach house. I love all of it but if I had to pick I would go with the pool party. How cool is this anyways? Combines the best if both worlds – building and barbies! Love it. The one pictured is awesome!!! I like the Barbie house you are giving away. I have four girls who would love it under the tree. Love the Pool Party set! The Barbie Mansion is a nice girl gift! I love Sindragosa and the Lich King! The mansion. It’s exactly what my niece loves! The Build and style Mansion. The mansion for my granddaughter. I like the Barbie Build ‘n Style Luxury Mansion for my granddaughter. The Build N Go Pad for Girls looks fun! mansion or beach house my daughter would love. The pool party or mansion are SO cute! Barbie mansion would love it for my niece!!! I love the Build n Style Convertible set! build and stule luxuray mansion for my neice. The Barbie Build ‘n Style Luxury Mansion is really cool. i know my four and half year old daughter would be ecstatic for any barbie related products at all…she just dearly loves them all….i know she would love the mansion and the pet shop one a lot!! I like the build n style fashion stand. Either the put together pet shop or the pool party. I know my daughter and I would love theBUILD ‘N STYLE LUXURY MANSION! 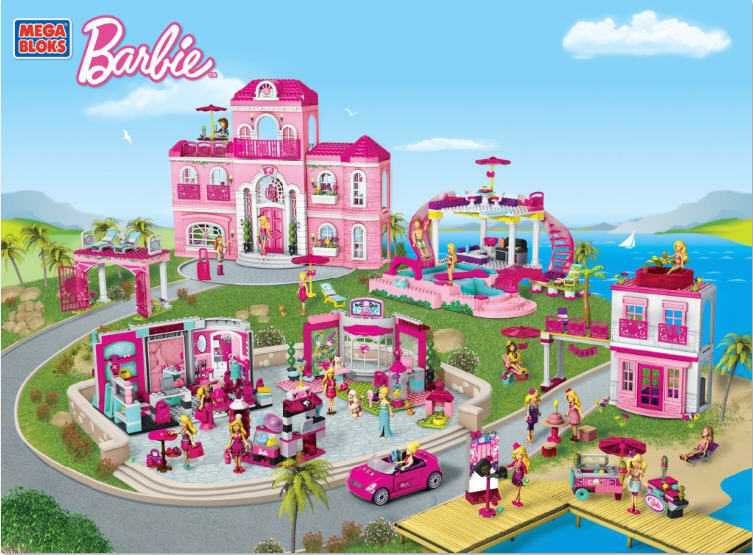 my grnddaughter will be so excited…lets go Barbie..
Barbie Build ‘n Style Luxury Mansion I think is my favorite!!! I think My my friend Myndy’s little girls would go nutz if they got this for Christmas!!!! I would love to win this for my granddaughter! (have 4 grandsons, but only one granddaughter!) She loves playing with her Barbie dolls! 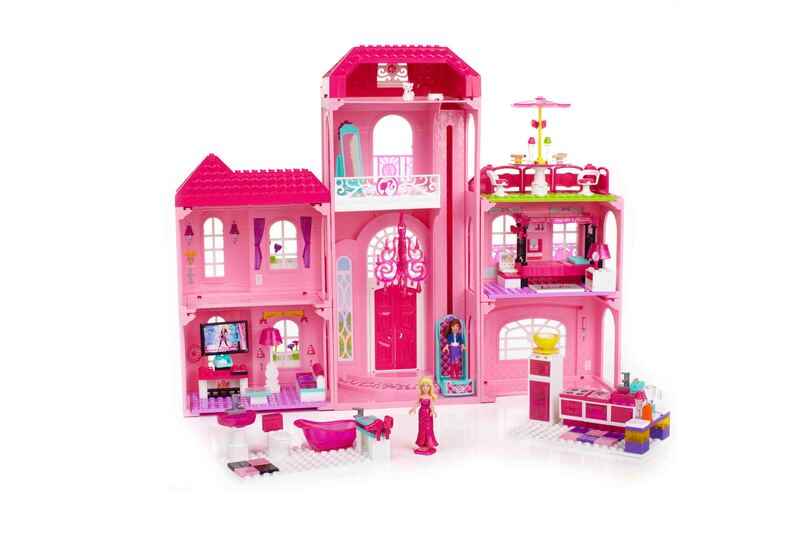 The build and style mansion… my girls would freak over having a house for their barbies! I really like the Fashion Boutique and I think my daughter would love it! The Farm First Builders blocks is my favorite product. BUILD ‘N STYLE PET SHOP I like that one. My favorite product is the Build and Style Luxury MANSION! My 7 year old would LOVE this for Christmas! the build and style mansion!!! !